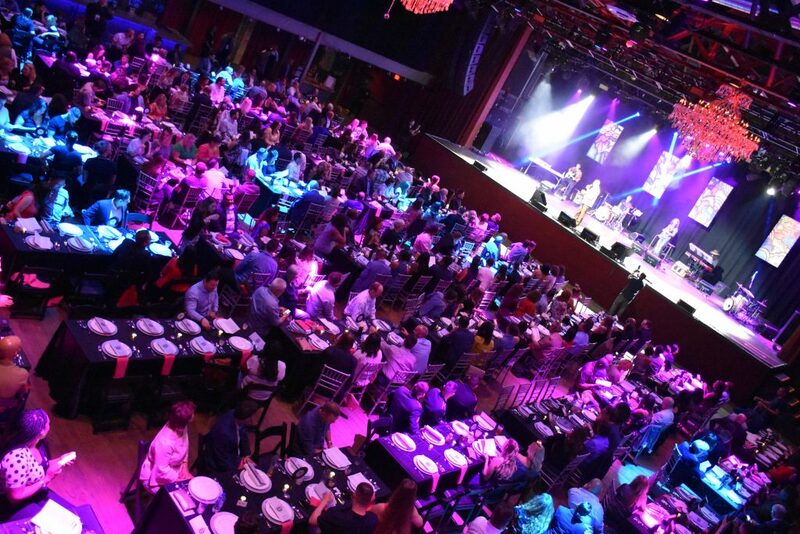 The flagship fundraiser for The Robert Irvine Foundation is unlike anything you’ve ever seen, tasted, or heard. A half dozen musicians roamed the stage, tuning their instruments and testing out the space. They weren’t bandmates, but members of different acts scheduled to appear throughout the night. By all rights it should have been a muddy, grating sound check, but these weren’t amateurs. They were professionals, and it didn’t take long for them to find that magical common ground with each other, their spontaneous notes brewing together to create something new. Would it translate well on a record? Hard to say. But it was a very interesting jam session—and it was loud. 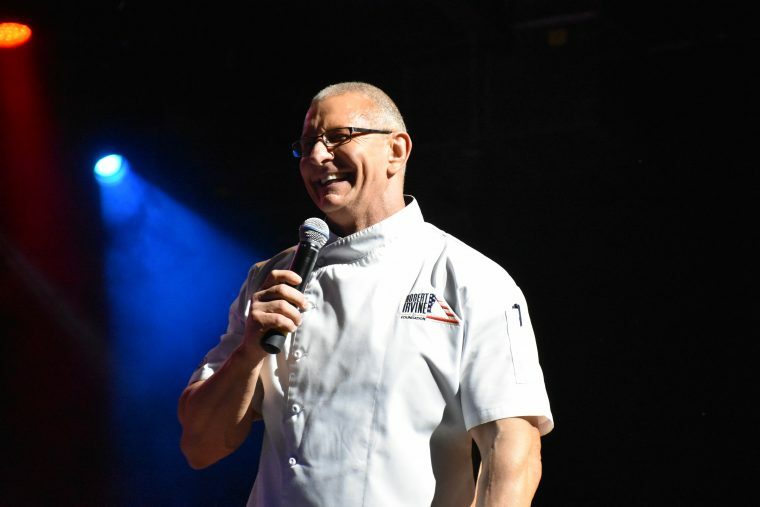 Throughout the sound check, Robert Irvine stood front and center in the storm, rehearsing his opening remarks, oblivious to the drum beat and bass thump emanating from just a few paces behind him. Chaos, of course, never has had much of an effect on him. And good thing. That particular unshakeable quality—on full display throughout his TV career—came in handy on the night of May 21 at the Fillmore in Philadelphia where Robert drew together five musical acts, seven celebrity chefs, and some 400 guests for the Beats N Eats festival—a fine dining/concert experience that is so unusual and captivating it can fairly be said that it has no analogue in the mainstream. The fact that every penny raised at the event goes to The Robert Irvine Foundation to support military veterans and their families only adds to its special mystique—and the feeling amongst everyone from the patrons to the entertainers that they weren’t just enjoying themselves, but contributing something of real value to society. 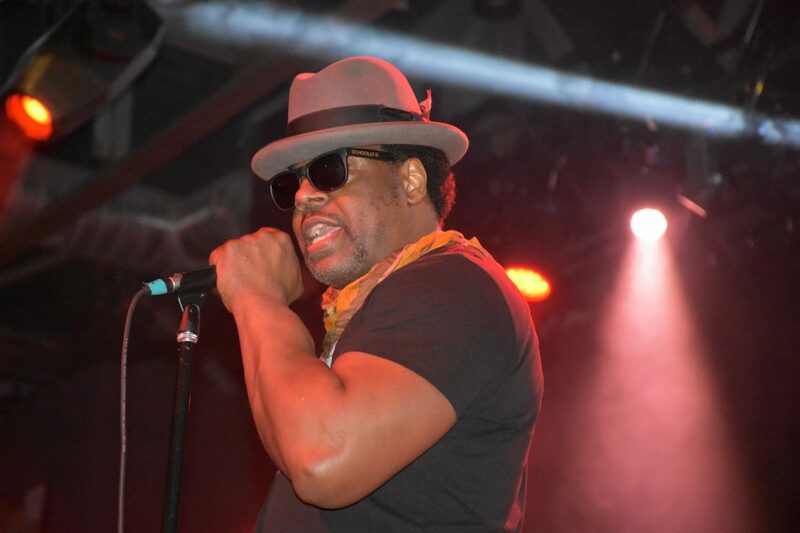 Philadelphia’s own rap phenom Chill Moody and old-school hip-hop legend Schooly D headlined a night that also included acts Nina Rosen, Erik Dash, and Zeek Burse. Musically, they’re all over the map. For instance, Dash is a singer/songwriter/guitarist in the vein of John Meyer while Burse could best be described as a genre-bending rock vocalist. Yet for all their differences, the performances could all be described as heartfelt, upbeat, and positive—a theme perfectly suited to the cause at hand. Hip-hop legend Schooly D performs at Beats N Eats. A similar story was crafted in the kitchen where chefs Brad Spence, Marcie Turney, Jason Chichonski, Jennifer Carroll, Beau MacMillan, Elizabeth Falkner, and Shane Cash—working on behalf of Robert who was serving as host and emcee—cooked up a gorgeous, mouth-watering seven-course family-style meal, with each new dish complementing the last. MacMillan was responsible for a honey hoisin glazed pork tenderloin entrée served with kimchi bacon Brussels sprouts and barbecue chicharrones, which was every bit as irresistible as it sounds. Carroll, a Top Chef veteran and head chef and owner of Carroll Couture Cuisine and Spice Finch, served a course of broccoli tabouli made with quinoa instead of the standard bulgar wheat. Staff Sgt. Joe Goodchild of the Pennysylvania Army National Guard led soldiers from several different battalions from all over the state to present the colors during the national anthem. Robert’s culinary team headed by Cash served up the night’s undisputed trump card: a massive tomahawk ribeye steak cooked to a perfect medium rare, cut into steakhouse-style slabs and served with a chimchuri sauce and fried plantains. After the sound check, Robert walked to the front of the house to check on the details of the after-party, which would come courtesy of signature confections from Federal Doughnuts and iced lattes from Starbucks. 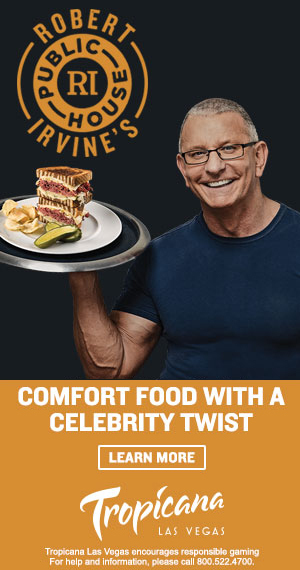 There he found Tom Bury, whose creativity and craftsmanship helped Robert turn around failing eateries for 13 seasons on Restaurant: Impossible. Bury’s task this evening wasn’t quite as dire as remodeling a restaurant in two days, but it didn’t look easy, either. He constructed a wooden two-tier American flag studded with over 100 metal pegs which could each hold four doughnuts for the after-party. Each stripe was meant to be lit, but Bury couldn’t test it until Robert helped him attach the two halves and shimmy it into a position where it would make for the best display. “I was up until 3 am last night,” Bury admitted, adding that he was a little nervous about only seeing the lights for the first time just before the event. Nevertheless, everything worked out fine, just as it did on all those episodes of R:I. A packed house at The Fillmore in Philadelphia. From there, Robert went upstairs for a private VIP cocktail hour and then made his way to the stage to kick things off. The rest of the evening ran seamlessly, with Robert chatting up the crowd between each act, and the donors ditching their tables to crowd the front of the stage for Schooly D’s raucous grand finale. “It’s always great to give back,” said Schooly D, who also auctioned off an original painting to benefit the Robert Irvine Foundation. “Being an artist, a musician—getting to do what I do is a gift. I’m fortunate so you have to share it. You just have to. The man in the middle of it all agreed, and felt sufficiently humbled by the incredible outpouring of support for his namesake charity. “There is an old saying that to whom much is given much is required,” Robert said. “I believe that in my heart, and to be surrounded by so many talented people who believe the same—from the chefs to the artists to the volunteer wait staff, everyone—is truly humbling. I love them for it because I see where this money goes and what it can do. I see how it trains companion animals and how it helps the Gary Sinise Foundation build customized homes for wounded vets and I see how it makes a real difference in the lives of the best and bravest amongst us. 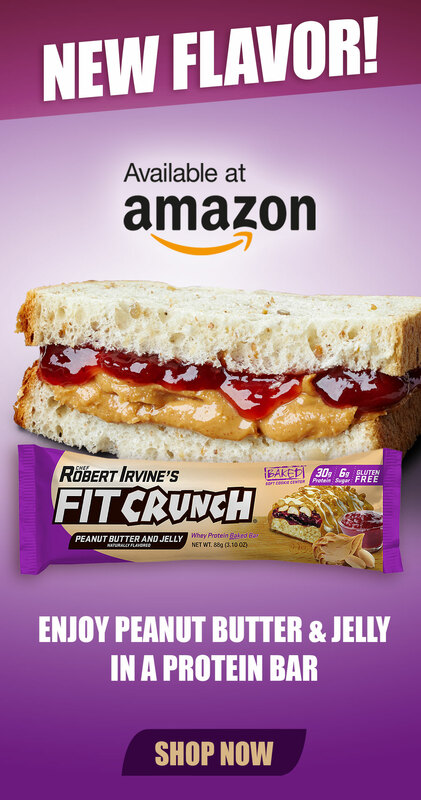 The Robert Irvine Foundation is a 501c3 charitable organization. It is staffed by volunteers and disperses 100% of all donations to the causes that need it most. Learn more or make a donation at RobertIrvineFoundation.org.